Security and Surveillance Experts | Stratagem Security Inc.
Stratagem Security Incorporated’s new surveillance technology enables them to provide solutions. 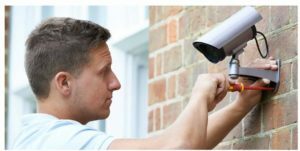 Their Service and Installation packages are for the consumer who is looking into installing their surveillance system or the consumer who already has a surveillance system installed and wants to upgrade to high definition without breaking the bank. Stratagem Security Inc. has been providing professional grade systems at affordable prices for years. They have grown to become experts in the field of Electronic Security. They pride themselves on their commitment to customer care and the continual innovation in security systems. By keeping up to date with the latest technological advancements Stratagem Security Solutions ensure that they offer their customers the best products and services to suit their individual needs. Stratagem Security Inc. has extensive experience in supplying, installing and maintaining Commercial, Residential, and Industrial Office Security Systems. Their employees are some of the best installers in security system installation industry-wide. Each installer is kept up to date with the latest innovations within the industry. This ensures that they can always offer their customers the most appropriate system to suit their security needs and their budget. The Stratagem Security approach to service is similarly forward thinking. They ensure that their customers get what they need, when they want it! There are no repair services or installation project that is too big or too small for them to handle. At Stratagem Security Inc., they are not afraid to tackle any smart home system, smart home security system, or home security system installation. Stratagem Security is committed to utilizing the most cost-effective equipment, installed in a professional manner with system expansion and further customer service in mind. Customers can be confident in knowing that they will never use inferior equipment to do a cheap job. At Stratagem Security they are authorized dealers for and service all major brands of security related systems including Toshiba, DSC, C.W.S.I., World Electronics Inc., Napco, Honeywell, Keri Access Controls, 3VR, Ademco, Pelco, Bosch, Radionics, Open Eye, Fusion, WinPak and many more.